NEW YORK STATE (November 7, 2013) – Governor Andrew M. Cuomo is advising taxpayers to beware of solicitations offering a fee-based service to apply for the School Tax Relief (STAR) property tax exemption – when homeowners can apply for free. New homeowners have received letters offering to enroll them in the STAR Program for a substantial fee equivalent to the full amount of the taxpayers’ first year savings – which averages $700 statewide and can be as high as $3,000 for senior citizens in the Lower Hudson Valley and on Long Island. An example of these letters can be viewed here. STAR exemptions are the only New York State-funded property tax exemptions. There are two STAR exemptions: Basic STAR for homeowners with incomes under $500,000, and Enhanced STAR for senior citizens with incomes under $81,900. The deadline to register for the STAR Program is December 31, 2013. In order to eliminate waste and fraud in the STAR Program, homeowners who are already receiving the Basic STAR exemption are required to register with New York State Tax Department this year. To be eligible for the STAR Program, the property must be the primary residence of the owners. Despite that requirement, a Tax Department study last year found that thousands of owners of multiple properties were receiving more than one STAR exemption. 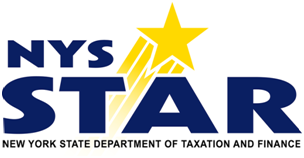 More than 60% of the 2.6 million Basic STAR recipients have already registered for their exemptions. Online registration takes less than four minutes and can be done from the Tax Department’s website. Homeowners without Internet access should call 518-457-2036 to register. The registration deadline is December 31, 2013.